You can be a silent revolution of change. It is a positive way we can be productive and powerful each day. It is how we treat others. It is how we can spread peace, love, and kindness. 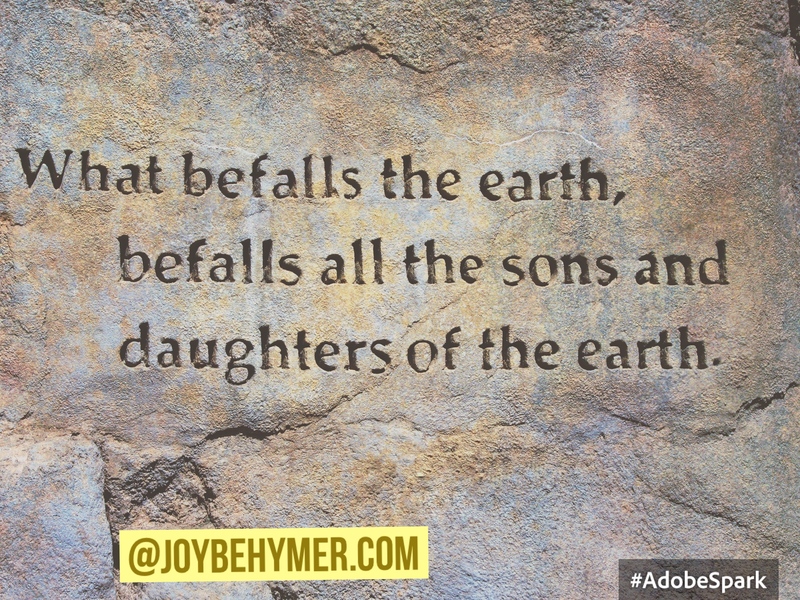 It is our actions that may demonstrate to our children a better way to live. It is how we can help cultivate a more harmonious planet. It is how we treat fellow human beings. It is how we can enhance all life. Because all life matters; not just human life, but all life. The planet, our animals, and plants. According to biology, living things are organisms that display the key characteristics of life. These include the ability to grow, reproduce, take in and use energy, excrete waste and respond to the environment. We have such a symbiotic relationship with nature, and all living things around us. In other words, what we do each day makes an impact on this planet. From a mild microscopic level to the more obvious influences we have with one another, it can be liberating to note how powerful we are in each moment of each day. When I see the news or observe conflicts on social media, I have to sit back and ponder how can I make a difference. What can I do towards positive and peaceful change? How can we change our conversations towards peaceful solutions and away from violence? How do we undo the damage of what we are seeing in the world today? These are questions I hear from not only from myself, but from loved ones, clients, and my friends on social media. The questions are on our minds. We want to know how to handle our reactions better. What to tell our children and how to change our behavior as a collective consciousness. This is what impacts our culture and universe. I think the conversation has to start somewhere, and an improved way of moving forward is being civil amongst our differences. Having the courage to listen carefully before reacting. The bravery to understand rather than argue our “rightness.” I believe the place of rightness often comes more from our egos rather than our hearts. One thing we can start to do more is holding a safe space for one another through our conversations and feelings before we are so quick to judge from our egos. When we can have a civil or safe environment, we allow space to share experiences to help one another understand actions and perspectives. We can champion more peace in how we live and treat each other each day. How can we heal a world of violence and discrimination without any respect to differences, compassion, and love? We start with each day and each person we encounter. It is how we handle ourselves and respond to others. It is how we process events and handle our emotions. If we can not deal with them, how do we help our children? Children often learn the most by the examples they see and the observations they make. They do not always communicate what they are absorbing, nor are we always aware that they are constantly taking in what we do. Our actions often speak more loudly than words. Dealing with our own peace and footprint in the world helps improve not only those around us, but our energy into the world. The only way we can implement more peace is to start with ourselves. Peace and change begin within. This is our silent revolution. If we can’t understand where our own anger comes from and transform it, we certainly can’t expect it from everyone else. We are emotional beings. We are not robots functioning without feelings. It is normal to experience them all, but we aren’t always taught tools in dealing with them. Awareness is a nice step. Intention is a nice step. Peace is a nice step in a silent revolution of change. 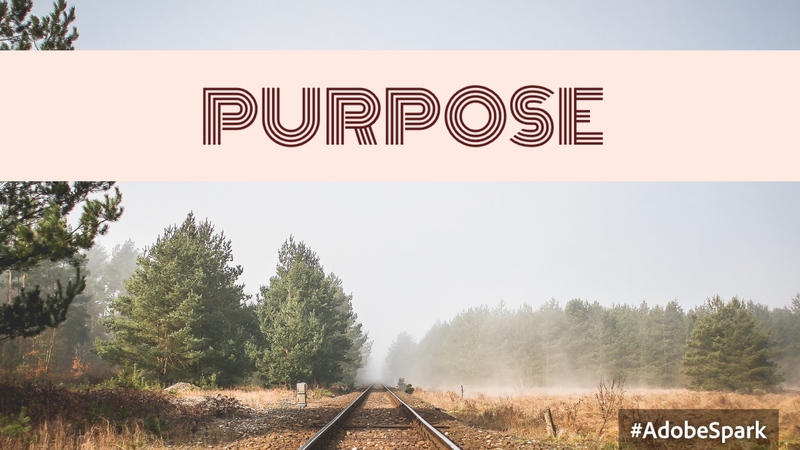 Through the years I’ve noticed many people struggling with searching for their purpose. I think at times we just try to make it so big that we miss the lighted staircase. We think it has to be something on a grand scale or we are missing it. I think it is wonderful when you can feel confident in knowing your purpose here on earth and in life. Sometimes that purpose evolves and sometimes it only moves for a period of time. There are some common themes we may notice in life that help define our purpose. For example, I have a dear friend that feels strongly that his purpose in life is to encourage and love others. I think many of us can find that common ground, but how does that play in your life? It certainly doesn’t seem to define your work or career label. Although you can recognize how you bring that purpose to the table in everything you do. Some people think your purpose has to be big like ending hunger, changing politics, making sure the world has clean running water, or repairing the earth. There is absolutely nothing wrong with these big inspirations steering your life. The thing I notice many people struggle with is not knowing exactly what their call or purpose in life is. This not knowing can make you feel stuck, uninspired, or maybe even lost. If this is you and if you wonder what difference you make in your life, I encourage you to be a little easier on yourself. Often our purpose occurs daily in the small things we do and how we treat those we interact with. Your purpose may be being patient with the ones you interact with. Perhaps you exude love to all your co workers. Maybe you don’t even realize the impact you make with your presence within your own family each day. You can be the driving force to help things get accomplished. You could be the support your friends need each day. And perhaps just the simple fact that you feed your family and take care of your home is infused with holiness. Your purpose is your inner essence and energy that you weave in your everyday life. It doesn’t necessarily have to be defined with a label or feel so big that it eludes you. We all will have different journeys in life with different purposes. We will all have an impact that is unique and makes a difference at different levels. I also think it is healthy to acknowledge that your purpose can change or evolve. As we grow in life, our perspectives and opportunities change. I think self exploration is a beautiful goal to help you investigate your purpose. It can help you enhance and move from a deeper level in your relationships, work, and daily interactions. At the same time, you certainly don’t need to give yourself a hard time if you aren’t quite sure. While you take some time in reflection, you can be aware of some common themes that resonate with you. I just want to encourage you to gentle with yourself on definitions. You don’t have to solve the world’s big problems to feel your significance. Know that just being you and infusing your life with your own energy each day is purpose enough. If you feel the urge to dig deeper, do it with a kind and patient heart. Our purpose can be one or many. Big or small. Just remember we all have a purpose in our existence and gifts to offer. Don’t get too impatient with yourself if you are unsure. Like the mysteries in life tend to unfold, so will your purpose. I believe there is bit of magic in life through curiosity. We can stumble across our passions and bliss when we follow our curiosity. Curiosity is simply the the desire to know or learn something. If we can remain open to our curiosities in life, we are on the continuous path of revealing what lights us up. Life continues to move on and our curiosity can fuel more ventures. There is always another experience around the corner because life and energy do not stop moving. Paying attention to our curiosities gives us hints to reveal paths and open doors towards hallways of inspiration. It may reveal a hobby, an idea, new venture, or perhaps a vision towards another step in life. I like to think of curiosity like my magic lamp illuminating clues of fun and joy. I have to follow them, be open, and explore them to discover the impulse of a new chapter or journey to fuel my soul. Curiosity feels like light, fun, and airy energy to me. It feels fun and easy. No commitments, just a nice pace and an easy flow. You may feel it as a little whisper from within. Curiosity is not an answer, but an opportunity to peek at something that sparks our interest. A gentle guide in our fascinations. Sometimes our curiosity helps attract our appetites and hunger from the soul. I recently told my pottery/art teacher how much I remember finger painting in the 2nd grade and how I hadn’t followed that curiosity since then. So for our next class, she had canvases and finger paints ready when I arrived. I have fun in all of our classes, but this one avenue of curiosity brought me great joy and is one I’m planning to continue. I had so much fun. When I first arrived to class, I was weighted down with some negative energy and trying to process some recent events. This activity turned out to unlock a door of a therapeutic outlet for me. It helps me feel a huge weight lifting off me. I left feeling uplifted, joyful, and calm. Even though we only painted a couple of hours, I carried that renewed feeling for days. Another strong example I have of following my curiosity was years ago stumbling across my inspiration to another career. Many years ago, I was a registered nurse and I kept experiencing a strange calling or curiosity to get a massage. I never had a massage, no one had ever mentioned a massage that I can remember, nor can I explain logically where this curiosity came from. Eventually I went and experienced my first massage and it felt like in an instant I knew that I wanted to make it a career. That career did not come until many years later with many twists along the road, but it did become a career. The curiosity led me to where the inspiration was born. By following my curiosity that curiosity helped me follow a passion. Each passion and curiosity leads me to more doors, more discoveries, and more joy. Some of them are quick and instantaneous and some travel for many many years, waiting for their time and place to appear. Many of my ventures were born, but not discovered or fully acted upon until years later. The point is it’s never too late to follow any ideas or curiosities. And…there are always new ones around the corner. I encourage you to be kind to yourself and pay attention to your curiosities. Give a little room for inspiration to appear. I think we find many blisses and purposes are born through curiosity. Think of it as a door into possibility. An avenue to the unveilings of your joy. 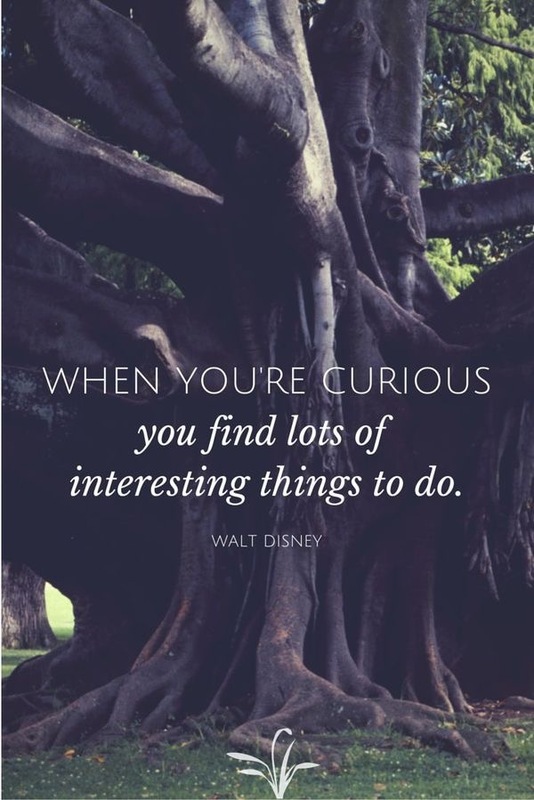 Embrace the magic of curiosity—it just may be the path you’re looking for! We often see the image of courage represented as a courageous warrior going into and winning a battle. To me courage represents so much more. Courage is getting up after you’ve been knocked down 100 times. Courage is continuing to move forward even if the odds are against you. Courage can be getting up every day. Courage can be big and small victories. Courage is finding your smile when life may be rough. Courage is being optimistic and positive when you have much to complain about. Courage is stepping into new territory. Courage is feeling the fear and moving forward anyway. Courage is moving while scared. Courage is not just confidence. Courage is the energy to move through the scary and unknown. Courage is following your instincts. Courage is doing something without having all the answers. Courage is the energy to move through your day without getting any credit for it. Courage is not always jumping out of an airplane. Courage is the energy you muster with the unknowing. Courage is creativity. Courage is movement without knowing the outcome. Courage is often underrated. I think you should acknowledge the courage you bring forth into the universe. When you have the courage to try again, courage should be credited. When you can’t see how things are going to work out, courage should be rallied. When all seems to fail, courage is still there. Still there to greet you. Still there to be lived with you. Courage can be your friend and ally. Courage isn’t always easy, but it does give you the power to move anyway. Courage lives within us all. And courage is a dance. A rhythm and flow. The beautiful thing about dance, rhythm, and flow is that they look different for everyone. Courage is like an art. No one’s art or courage looks the same. It’s something you can’t tangibly see, but you can feel it and see it move through others. Courage is a bit of knowing. A trust. We use courage to process, handle, and operate. Courage is our influence through uncertainty. Life can move us through unfamiliar territory. We don’t have to freeze or run from the mysteries in life because we have courage to help move us through uncharted energy. If you wait for life to reveal all the variables that you will encounter on your journey, you may find yourself sitting on the sidelines. Rather than seeing life as unsettled territory, you can use courage to view it as an adventure. It’s kind of like opening your gifts early and getting no surprises on Christmas. The element of surprise has to leave behind the plans and expectations. Use courage to allow surprises and curiosities in life. Courage is allowing. If you like the idea of an extraordinary life, then I encourage you to allow courage to astonish you. You’re probably using it daily and not giving yourself the credit. Let courage be an art in your life. It can certainly take you places you’ve never been before! How often do you incorporate vacation breaks for your mind? Many times we wait until we are on vacation to let our hair down, unwind, and leave our stresses of our daily lives on a break. Think about how you feel when you have some free time or a break from work, chores, and responsibilities while you vacation. That feeling is very good for your health and mental status. And it would be of greater benefit to do it more often than once a year. For some busy folks out there, you may not even take one that often. The point isn’t how often, when, or where you take a vacation. The point is that you can utilize many avenues in your daily or weekly life to create the feeling of vacation more often. Not only does it play a positive aspect in your health, it also presents a reinvigorating opportunity to journey in your daily life. Giving yourself mental vacation breaks in your routines affects your life the way getting good sleep does. When you can get restful sleep regularly, you can function better in your awake, daily life. It may take a little time to explore what brings you mental breaks and joy. The key is to incorporate it as often as you can. Pay attention to how you feel. How do you feel when you’re on vacation? For me a mental vacation break is relaxing. It’s focusing on the joyful moments. I feel lighter, freer, and at ease. Those are the feelings you are looking for in your day. I encourage you to look for as many pleasing things as you can through your day. The more you focus, the more you can create a feeling of ease. I have found great benefits in creating my feeling of being on vacation at home. 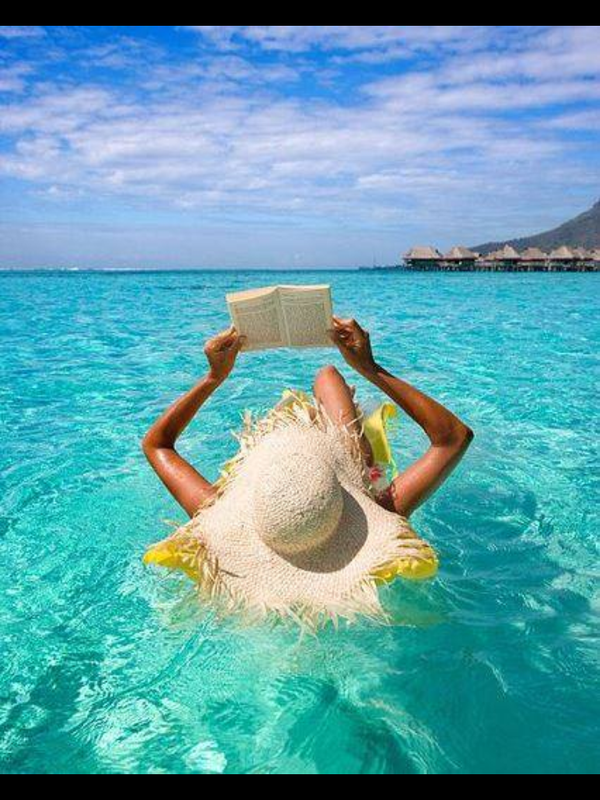 When I am on my “ideal” vacation, I love to relax by a pool or ocean, read a book, maybe listen to some music, or write. It’s taking it easy and enjoying small moments. I love being out in the sun and I love to eat outside when I’m on vacation. It’s doing some nothingness and the things I enjoy. Now you can create some of these factors in your day instead of waiting until you take a literal vacation to allow the experience. Since I spend a good portion of time at home writing, taking care of my animals and spending time with family, I have slowly over time added more and more vacation feeling experiences in my backyard. I was fortunate enough to purchase a home with a deck. Through the years, I continue to add to the details. On my deck I have a table, an umbrella, and tiki torches surrounding my deck looking out at many beautiful trees and gardens. My family has also added many of these details furthering our experiences for us all to enjoy together. We have a pond with a waterfall to listen to, a small pool to float and relax in, and we are currently adding more details each year. It’s amazing what you can do when you open your mind to possibility—and you don’t even have to have a lot of space. I have a friend who has a very small area for a porch, but she has one chair, a small table with some plants, one tiki, and candles. It’s a very small inviting space, but it allows the mental space for relaxation anytime she can sit down and take some fresh breaths of air in. It’s creating a relaxing space with what you have no matter where you are. When I sit on my deck relaxing, reading, or writing, I am surrounded by the atmosphere that helps me feel like I am on vacation. When I can take a few hours (or if I’m really lucky, a couple of full days) that week to be on my deck relaxing, I feel like I have had a few days of vacation—without all the work that taking an actual vacation requires When you have the time for a literal vacation… great! Seize the opportunity when you can. What I’m describing is the time in between when you may not be able to go on a vacation. You can mentally create the feeling without feeling deprived. I encourage you to find ways that bring you a little slice of vacation in your everyday life. It may be creating your environment as I have described of myself. It can be a candle placed on your desk at work. Grabbing a snow cone on a hot day. Reading a couple of pages of an interesting book. Doodling before dinner. Anything that you may wait to do on your vacation or anything that brings you that same giddy joyful feeling that arises when you are on vacation. It’s bringing that excitement in moments of your daily or weekly life. Be aware of how often you experience these feelings and mental vacation breaks. If they are seldom, make it a priority to create some space for more vacation breaks. However they look to you. As easy as you can. Make it an easy game. Leave the pressure behind. The idea of vacation is to leave your worries and stress behind more. See how implementing the time helps you in your everyday life. You may open your eyes more to noticing and enjoying more moments in your day! That lighter energy is good for your body, health, mind, and soul!